This full curriculum includes “The Turning Point” DVD plus 3 Workbooks on CD-ROMS, which can be printed and reproduced. The Client Recovery Workbook helps clients learn how to stay clean and sober. The Client Life Skills Workbook teaches clients how to create a blueprint to make the necessary changes. The Client Cognitive Skills Workbook teaches socialization skills that enable clients to reintegrate into their community. The DVD is a high-quality production shot in an urban setting. It easily engages viewers in the criminal justice system or in drug treatment. It includes interviews with African American men in different stages of recovery and reintegration, along with straight talk from counselors, community activists, a neighborhood pastor, and a drug court judge. All echo the same message: in order to change, these men must give up not only alcohol and other drugs but also their unhealthy lifestyles. Viewers will learn strategies to create a healthy environment, find positive support, overcome shame and guilt, rebuild self-esteem, identify triggers, avoid relapse, and ensure that core beliefs and values align with positive goals. 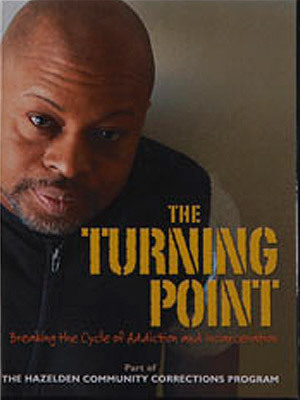 While this video features African American men in an urban environment, the information shown applies to all men in recovery. The cost of the full curriculum is $395. The DVD can be purchased separately for $225, which does not include CD-ROMS with 3 workbooks/curriculum.